As DHEA levels decline, so can your performance. Don't wait to perform your best, try Natural Balance DHEA for Men supplement today! Studies suggests that the DHEA naturally produced by the body begins to decline at age 27 and continues to diminish throughout your lifetime. By supplementing with DHEA you may help provide nutritive support for a healthier immune system, mental focus and most importantly, stamina. 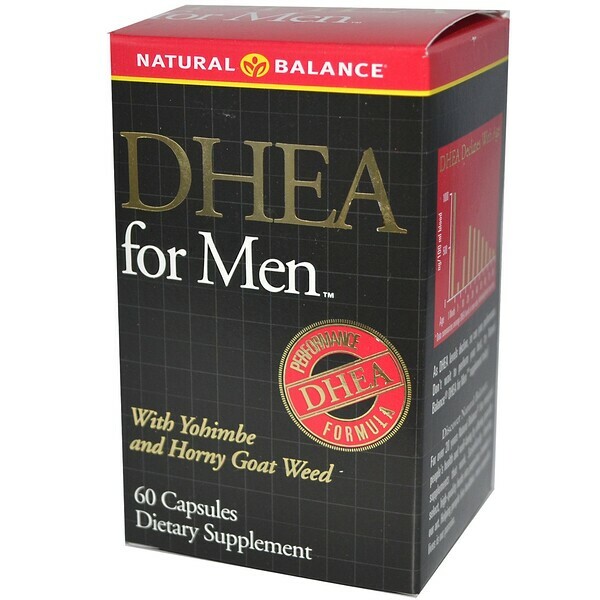 DHEA for Men supplement not only provides your body with DHEA it also contains other herbs that may help provide nutritive support for endurance, performance and pleasure. 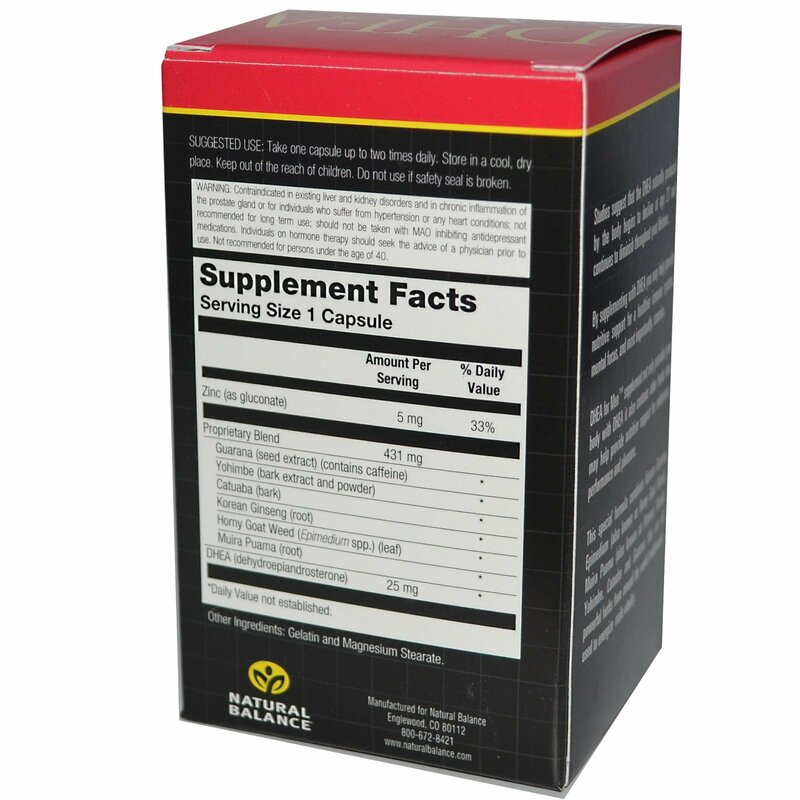 This special formula combines Korean Ginseng, Epimedium (also known as Horny Goat Weed), Muira Puama (also known as Potency Wood), Yohimbe, Catuaba and Guarana that are all powerful herbs from around the world traditionally used to energize male vitality. Store in a cool, dry place. Keep out of reach of children. Do not use if safety seal is broken. Contraindicated in existing liver and kidney disorders and in chronic inflammation of the prostate gland or for individuals who suffer from hypertension or any heart conditions; not recommended for long term use; should not be taken with MAO inhibiting antidepressant medications. Individuals on hormone therapy should seek the advice of a physician prior to use. Not recommended for persons under the age of 40.